Be Yourself Because Everyone Else is Already Taken! 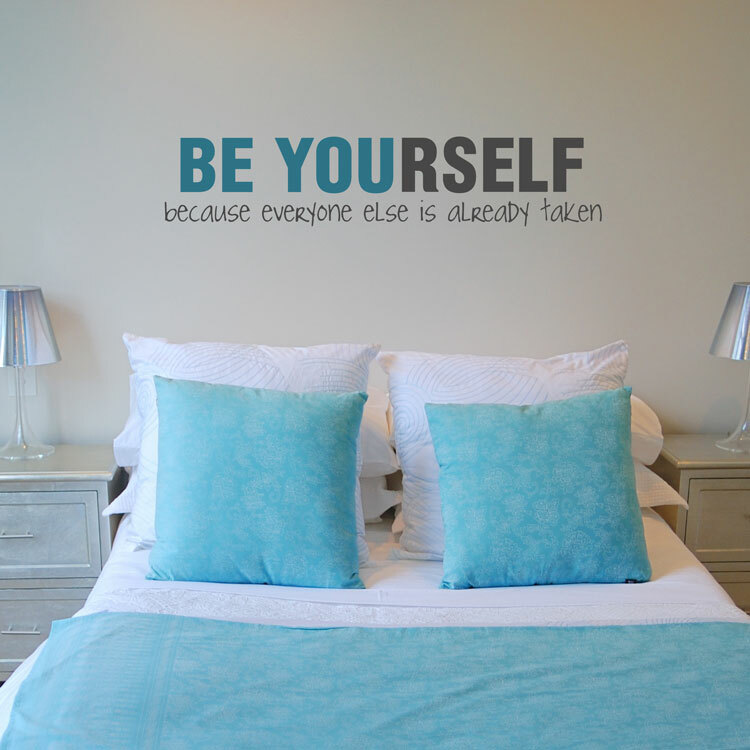 Put this wall quote decal up anywhere to inspire you to be happy with who you are! Our wall decals are ideal for offices, living rooms, entryways, classrooms, even your car or glass shower doors! As shown, text measures 53.5 inches wide by 11 inches tall. 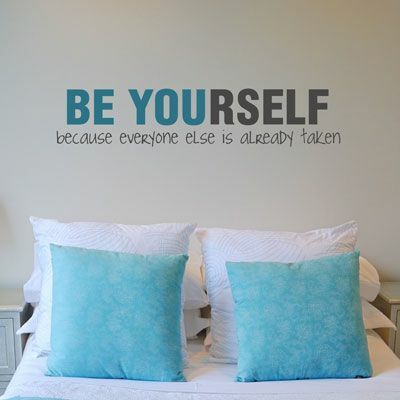 This quote wall decal comes in two sections for easier application. "BE YOU" will come in one color, and the rest of the text in another. Great product! Great Customer Service! - I purchased 1 set of the poppies for my daughters room and realized I needed another set - I put in a request for the birds to be in mirror image and I recieved the requested birds and more! - Dalidecals went above and beyond and included more birds of various sizes at no extra cost - I am impressed with the personal service and I will be putting another order in today for some butterflies for above her crib :) Thanks DaliDecals for a job well done!